Revisiting a book that changed our lives: Reflections on “Adaptation and Natural Selection” 50 years later. Many people claim that great art is timeless – if you hang a masterpiece on your living-room wall, you can find new things in it to inspire you every time you look at it. The personal impact of re-reading a piece of great science is less enduring. That classic article or book may have spawned an entirely new research field, or changed the way that people think about major issues – but although the new concepts remain pivotal to modern thinking, the article proposing them is rapidly relegated to the dustbin of history. When we read “The Origin of Species” today, most of us do it for historical context rather than conceptual enlightenment. Darwin’s ideas were broadly correct, and founded modern biology – but if we want our students to understand the concept of natural selection as we now envisage it, we are likely to direct them towards one of many texts on evolution or popular books by Dawkins, Coyne, or Zimmer rather than Darwin. Part of the impermanence of Great Science relates to changing forms of communication, and part to fact that those initial ideas, if influential, have since been elaborated by others. By its nature, science builds upon pre-existing findings. Why should a modern student of evolutionary theory peer in detail into the historical foundations of a building, when subsequent workers have developed those foundations into a broader and more detailed edifice? Historians of science will claim that we need to understand the origins of an idea if we are to truly comprehend it, but most practitioners of modern biology are too busy doing research to spend time on uncovering the evolution of evolutionary thinking. But what if a specific book played a critical role in your personal development as a scientist? How would it seem in retrospect, if you went back to that volume half-a-century later? That challenge stimulated this current opinion piece. In 1973, the two of us were budding biology graduate students whose locations overlapped at the University of New England, a small college in rural Australia. Neither of us had much sense of what it meant to be evolutionary biologists, but we were introduced to, and read, a short (300-page) book by G.C. Williams, entitled “Adaptation and Natural Selection” (hereafter, ANS). It had been published seven years earlier, and was subtitled “A critique of some current evolutionary thought”. For us, it was the right book at the right time. It immediately changed our conceptual foundation and inspired both of us to become evolutionary biologists (a trajectory that was strongly reinforced by guidance from E. L. Charnov at the University of Utah, where JJB was based and RS later arrived as a postdoc). It is now just over half a century since that book appeared. In these few paragraphs, we reflect on the book then and now. Neither of us had looked seriously at the book for decades, so we approached it with fresh (albeit, older) eyes. A re-reading of the book reveals that it is comprised almost entirely of verbal plausibility arguments. The main theses are that (i) adaptive evolution works by the substitution of alternative alleles/genes, (ii) one should not invoke a higher level of selective processes than is needed (individual-based selection is preferred over group selection), and (iii) the evolution and maintenance of nearly all observed phenotypes are (so far, at least) consistent with selection at the individual level. In addition to these well-articulated points in the book, one is struck with the care taken to lay out the evolutionary process in verbal logic that is easily followed. Williams avoids jargon most of the time, but introduces (and clearly defines) new concepts when needed. Many of his newly-minted terms failed to catch on, and are rarely seen in current literature; but others that he brought into evolutionary biology have became mainstream. Perhaps the main understanding to emerge from reading the book is that evolution by natural selection must follow a specific set of rules, and hence that adaptation should not be viewed superficially in terms of outcomes. Instead, natural selection is a statistical bias in the relative rates of survival and reproduction of alternatives – and hence, is a process that can lead only to some types of outcomes. It was this simple logic that, in 1973, we found so appealing and inspiring. Although the book has essentially no mathematics, the prose describes evolutionary processes so that one easily (if superficially) can imagine the underlying math. Sentences and paragraphs are carefully worded and, in many cases, justify the reader’s pause for thought (not unlike a conversation with Williams in real life). The logic and phrasing are austere, with words carefully chosen for precision of meaning and message. The book followed several decades of the development of population genetics, and probably did not have had much impact on those well versed in that field. Yet whereas population genetics was focused on the maintenance of genetic variation and factors contributing to changes in that variation, Williams addressed the phenotypes of interest to the broader community of biologists: behaviors, physiology, genetic systems, morphology, and reproductive processes. And because of this emphasis, the book inspired decades of work on life history evolution and reproductive effort. The book was widely interpreted as an attack on an earlier book by Wynne-Edwards, who had inferred that group selection was responsible for shaping many of the behaviors seen in animals. While ANS effectively did mount such an attack on (and largely annihilated) Wynne-Edwards, Williams maintained that his book was largely written before he saw Wynne-Edwards. Rather, ANS was inspired by the sloppy invocation of group selection and poor understanding of natural selection of the day (he started the book something like 8 years before it was published). Indeed, Williams would claim on many occasions that he wrote the book to clear up fuzzy thinking (the “willy nilly” proposals of group selection) that were so common in the day. He said, perhaps jokingly, that he wrote the book to deal with reviewers who could not understand the logic behind the empirical work he was trying to publish. There are many tidbits and hints in the book of things to come: male-female conflict, male-female role reversals, parent-offspring conflict, the enormous role that chance must play in which lineages survive versus go extinct (and the consequent impact on faunas), and a suggestion of using gene drive systems for biological control. One also notes a well-formulated challenge to Wright’s alternative form of group selection, his ‘shifting balance theory,’ a challenge much in the same spirit and for the same reasons as the later paper by Coyne, Barton, and Turelli. 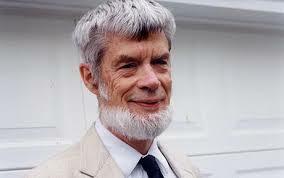 His attack on Waddington’s ideas about “genetic assimilation” target aspects of Waddington’s writings that are rarely emphasized today; Williams had no objection to the proposition that phenotypically plastic traits may often become increasingly canalised through time, so long as selective optima remain consistent. The last chapter in the book is a proposal and a plea that adaptation become a formal field of inquiry. For students growing up in today’s world, an understanding of the “selfish gene” perspective with conflict and levels of selection is now the foundation. The ease of DNA sequencing and bioinformatics software has rendered the analysis of selection on individual proteins and nucleotides so straightforward that one no longer need rely on plausibility arguments to infer selection. Williams’ strongly worded argument that selection mostly maintained phenotypes and much less often led to their evolutionary change is now captured in molecular analyses of the distinction between purifying and positive selection. Ironically, much of the novelty and impact of ANS came from its return to an earlier way of thinking. As Williams notes, Charles Darwin’s views on natural selection emphasized individual-level selection; the problem lay not in the early incarnations of the concept, but in the way in which subsequent generations of evolutionary biologists had uncritically extended the idea to levels of biological organization that do not exhibit the attributes essential for adaptation. For example, Williams points out that the rate of adaptive change in genetically-coded traits is constrained by rates of reproduction and mortality of the biological entities involved; and demonstrably, the timescales of reproduction and death are much shorter for individuals than for populations. Hence, selection on variation among individuals within a population is expected to have more impact on gene frequencies than selection on variation among populations within a species. So, re-reading ANS was a bittersweet experience for two grizzled old evolutionary biologists. When we first encountered the book in 1973, it revolutionized our conceptual worlds and showed us a way of thinking that we could (and did) apply to systems from bacteria to cane toads. Re-reading the book is like re-reading “The Origin of Species”, or watching a Star Wars movie for the third time. Once you already know what the author is getting to, and you accept the validity of his argument, it’s easy to become frustrated at the volume of background material that the author has (very properly) provided when making that argument to a skeptical audience for the first time. The intellectual achievement is remarkable, but no longer surprising. The field of evolutionary biology has changed enormously in the last 50 years. One of the most fundamental changes has been the widespread adoption of the intellectual framework that Williams laid out in ANS. That framework now permeates the wider field so thoroughly that it is difficult to read the book now and comprehend its originality or even sense the emotional and intellectual impact it had when it was first published – or first experienced by two naïve young graduate students seven years later. 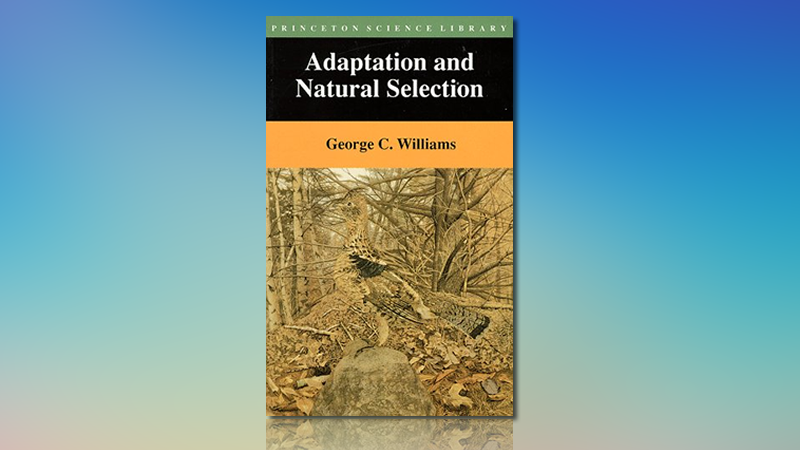 This small book by George Williams changed the ways that biologists view natural selection and adaptation. George could not have dreamed of a more successful outcome.